I used these scallion seeds this year, and they produced a lot of nice plants. There are 200 in the packet, so I did not use them all and have enough for next year's crop too. 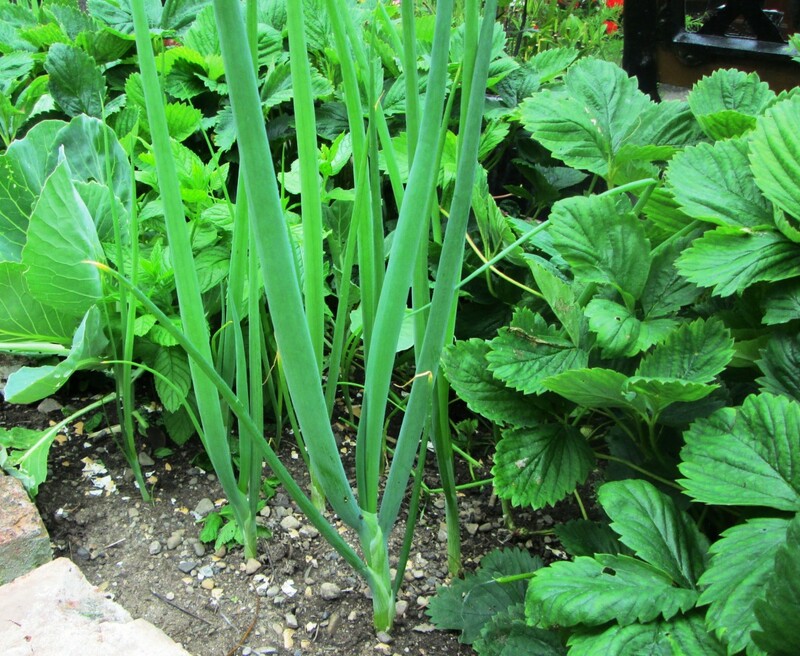 Scallions can be grown in most areas of your garden and do not take up too much room for the high yield you get back. It is so nice to be able to go into the garden and pick a few scallions for use in the kitchen whenever I need them. Sow the first batch of seeds indoors just before the spring, which is the end of February in Ireland. 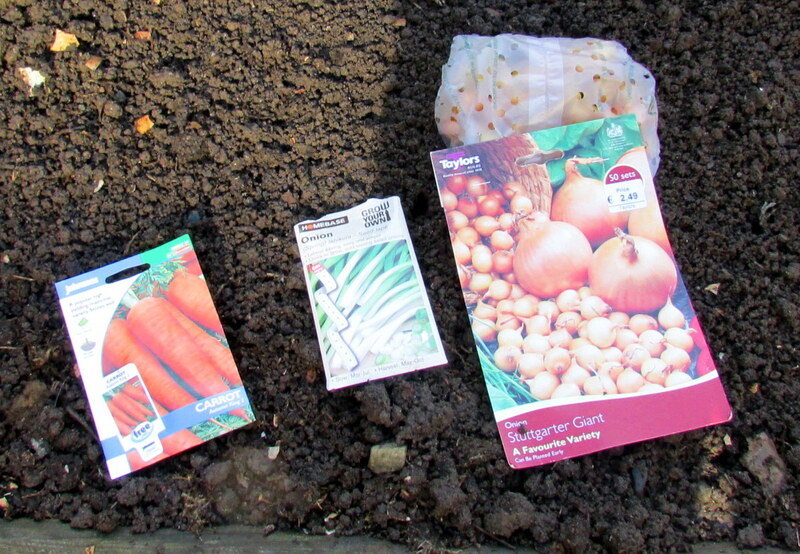 If you intend to sow the seeds straight into the soil, then leave it a few extra weeks to the middle of March. This approach is a lot cheaper than bulbs. It does take up to three to four weeks for them to germinate. But once they do, they will grow easily in the garden. For a constant supply of fresh spring onions, you should sow a new batch of seeds every three weeks right up to July. 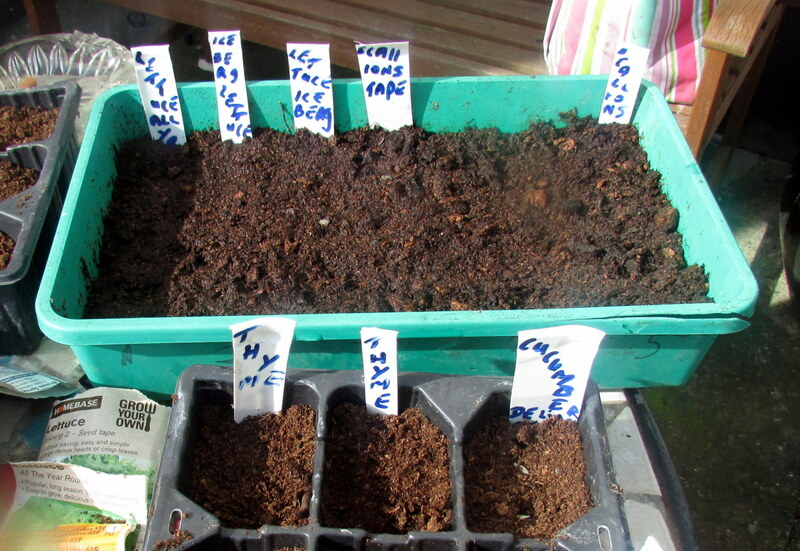 We have a very cold spring here in Ireland so I like to sow the seeds in a cold frame first. This gives them a head start, and then I transplant them into the garden or into containers. Once the warmer second month of spring comes, I plant the seeds straight into the ground or containers. 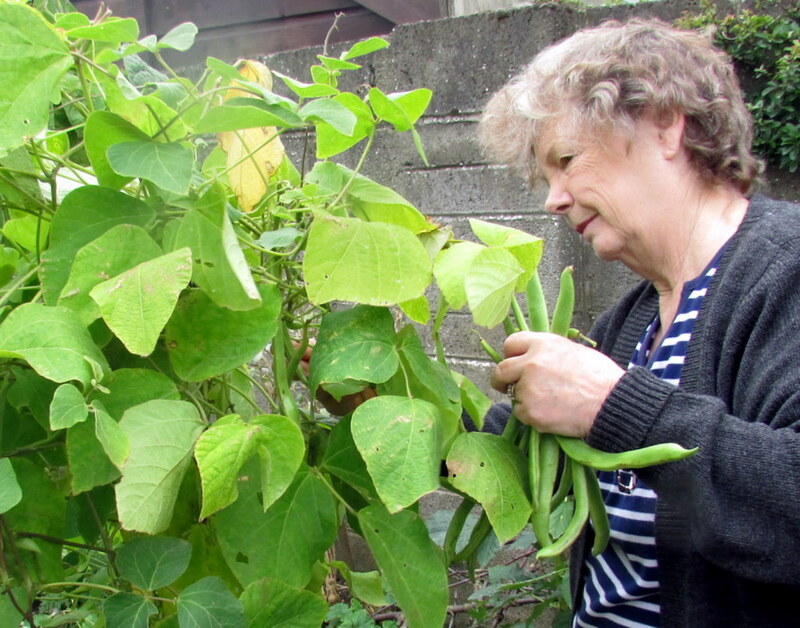 Do not grow spring onions near beans or peas, as their growth will suffer. I have also grown these vegetables very successfully in containers and pots. So for those of you who only have a yard, balcony or patio, you can easily add these to your containers where you are growing your lettuce and radishes. 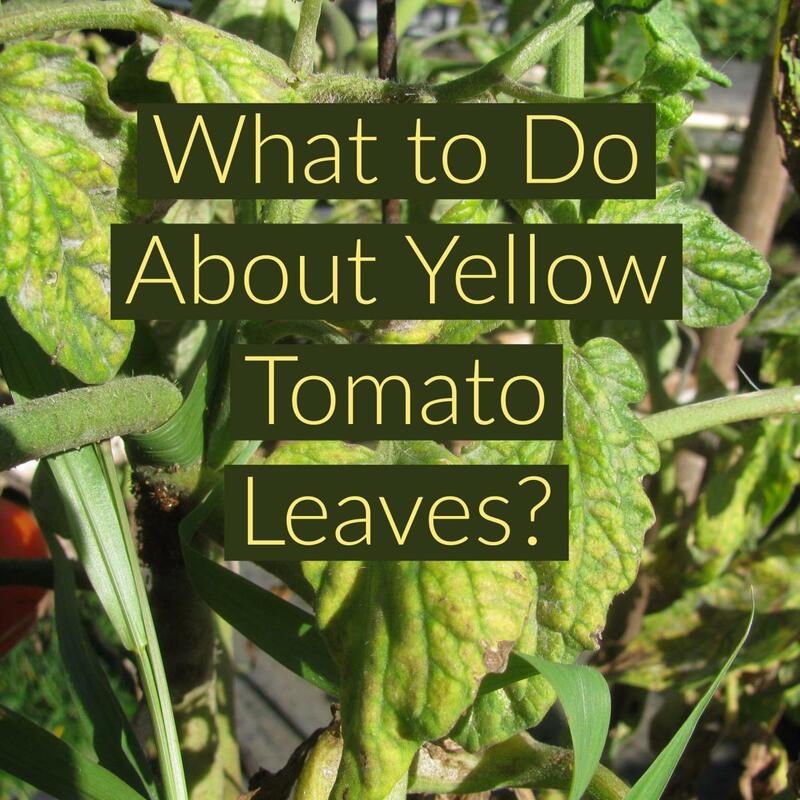 This vegetable does prefer a sunny spot but can tolerate less sun if necessary. The trays should already have plenty of drainage. Fill your trays with potting compost and firm it down. Make rows of about half an inch deep with your finger and about 3 inches apart. Sprinkle the seeds into the rows. 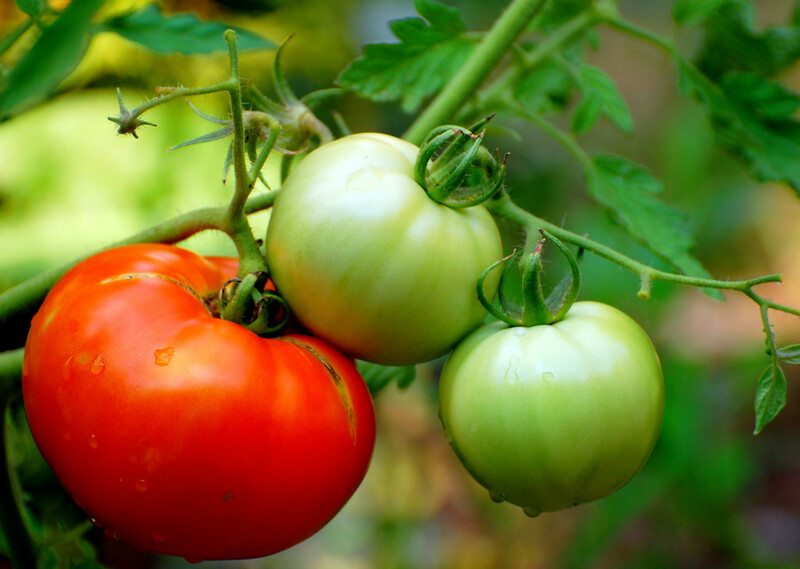 Cover them with compost and firm down. Water well. Leave in a sunny position in a green house if you are lucky enough to have one, or leave in a cold frame. My cold frame is tiny and made of hard plastic, but it gives the seeds that extra protection from the cold and wind. Keep watered and you should see the shoots in about two weeks. They will be ready to be transplanted after about another three weeks growth. 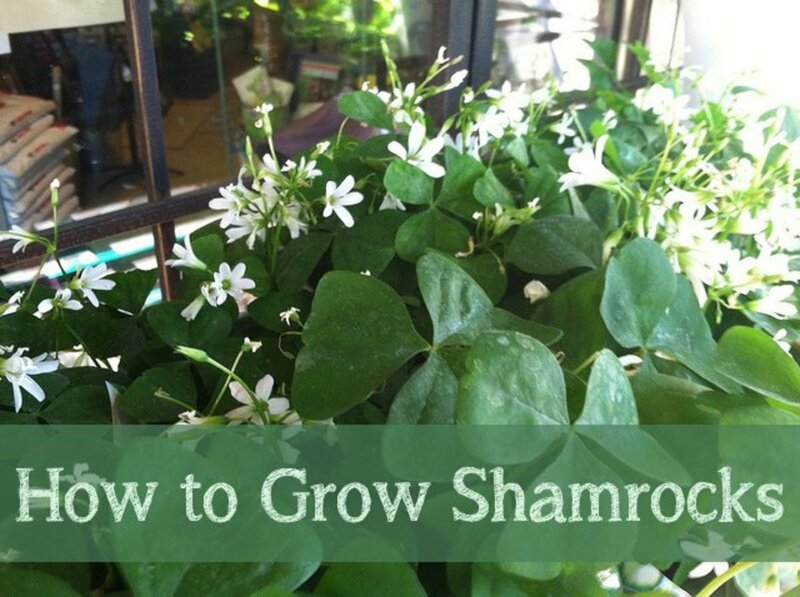 Place them in a warm spot in the garden for a few hours a day to harden them off. Prepare the soil in the ground where you want to grow them by digging around it and adding some fresh compost. Rake the soil until it is even and firm it down. Plant the small plants in the ground, making sure the roots are secure. Plant them about 2 inches apart in rows. Firm them in with your fingers and cover over with soil. Prepare the soil by mixing in some compost and raking in evenly. Make an indent about half an inch deep in a row down the soil. Place the seeds in the palm of your hand, and use the fingers of your other hand to sprinkle the seeds along the row. Try to space them out as evenly as possible about 2 inches apart. You are bound to get some that will be bunched up and these can be thinned out later. Space the rows about 7 inches apart. Once you have finished placing the seeds in all the rows, cover them with soil and press it down evenly. Place your name tags at the end of each row. This will remind you what you have just sown and where they are. This year, I bought seeds that were encased in a thin sheet of paper. It made sowing them easier, but I will have to see if they grow. Water well. 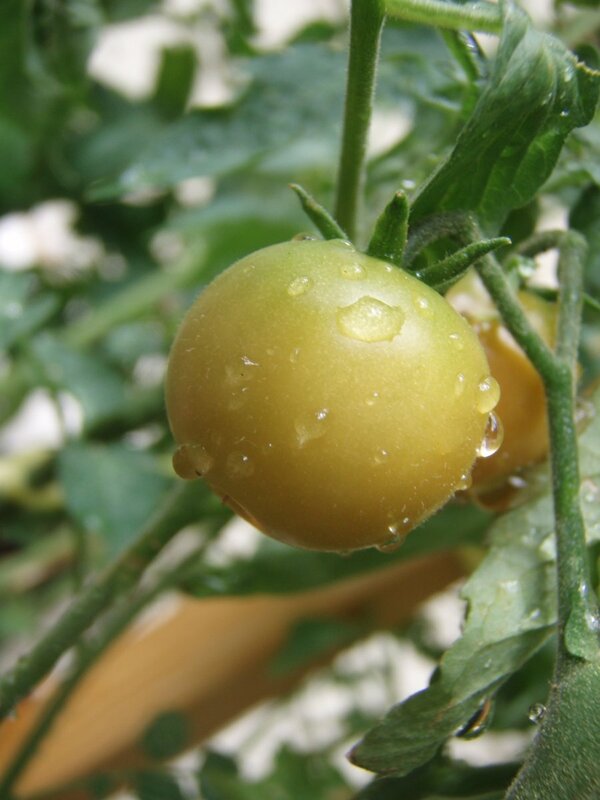 Make sure the soil is not allowed to dry out, but do not overwater. It will take between three to four weeks before the seeds germinate. 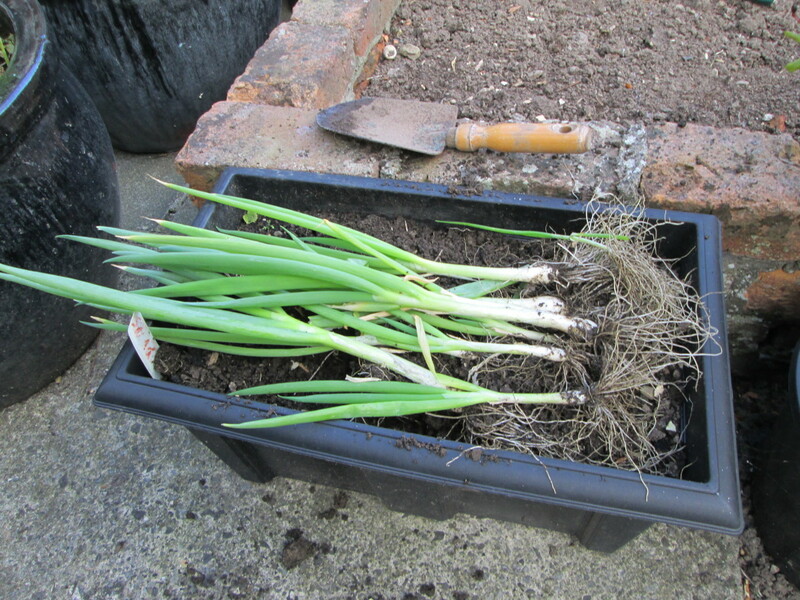 You can grow scallions in just about any container, pot or box. The root system is quite shallow, and the plants do not take up too much room. Prepare your containers by giving them plenty of drainage. Add the compost and firm down. Make an indent of about half an inch along the area you want the scallions to grow. Sprinkle the seeds and cover with soil. Firm it down with the palm of your hand and water well. Containers need to be watered more often, so keep an eye on them. When the seeds have grown to about 3 inches, you can transplant them to the garden. Prepare the soil by adding some compost and digging in. Rake over to form a neat surface. Take each delicate plant out of the tray and place in the soil. Do this in rows and cover the roots with soil. It is important when they are still small to carefully pick out any weeds that develop around them. When the plants are about 7 to 8 inches high, you should cover the ground around them with some kind of mulch. This will retain the water and keep down the weeds in the summer. They will grow to about 12 to 15 inches tall, and this takes around 12 weeks. But you can start to pick them when they are about 10 inches tall and the bulb is not too thick. At this stage, they do not taste as strong and that is when I pick mine. Both the scallion bulbs and the green leaves taste delicious and are eaten raw. At this stage in their growth, you should be able to pull them up with your hands. 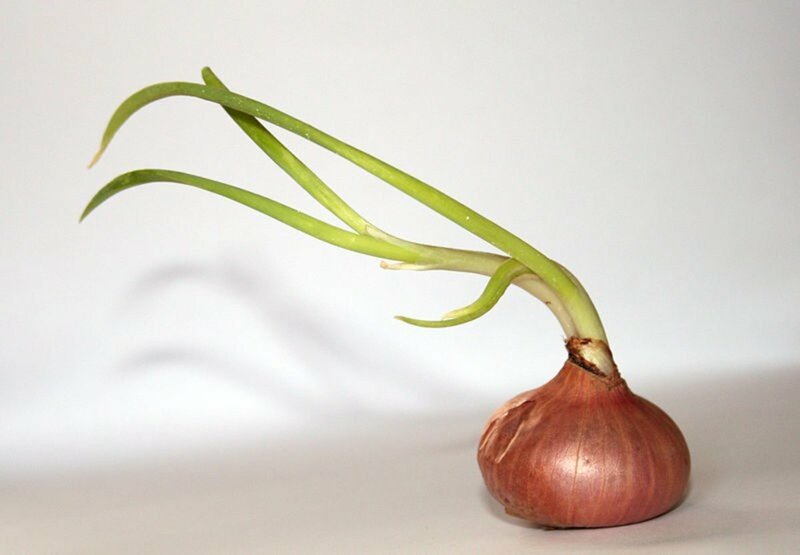 If they are too strong, then gently dig around the root, being careful not to damage the bulb. Only pick what you are going to use in the kitchen that day. Do you grow scallions/spring onions in your garden? 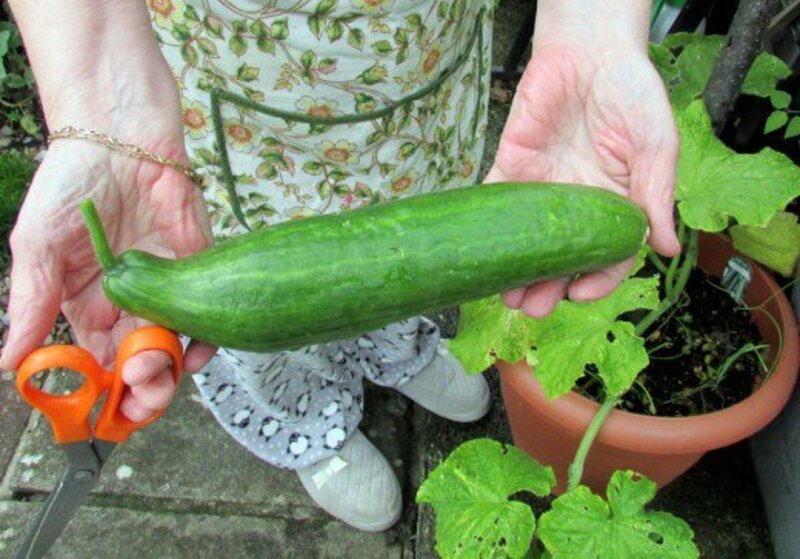 Yes, in my vegetable patch every year. No, but I will grow them this year. No, I do not have a garden. No, I have no garden, but I will grow them in containers on my patio. No, I hate growing vegetables. Flowers rule! 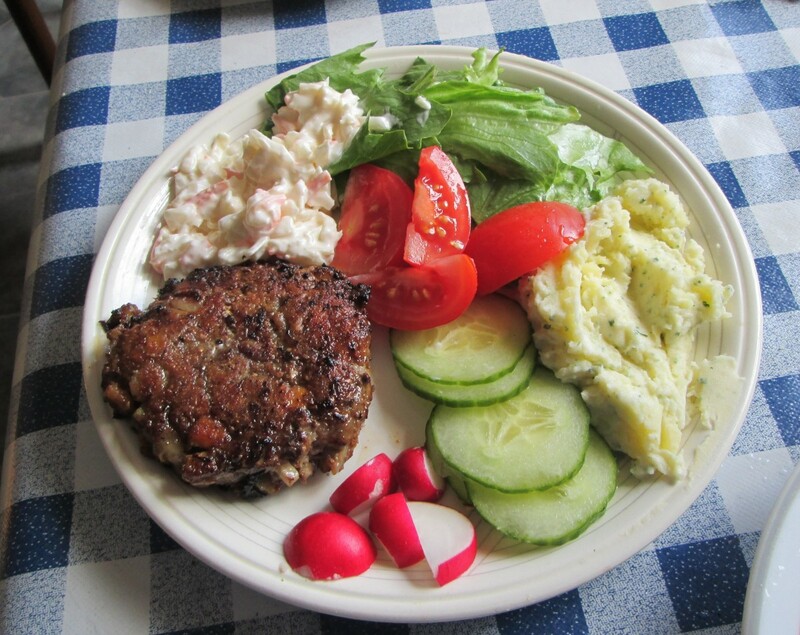 I have written some recipes below that I use my own homegrown spring onions and scallions in. Wash and cut up the cabbage into small pieces. Wash, peel and cut the carrot into small squares. 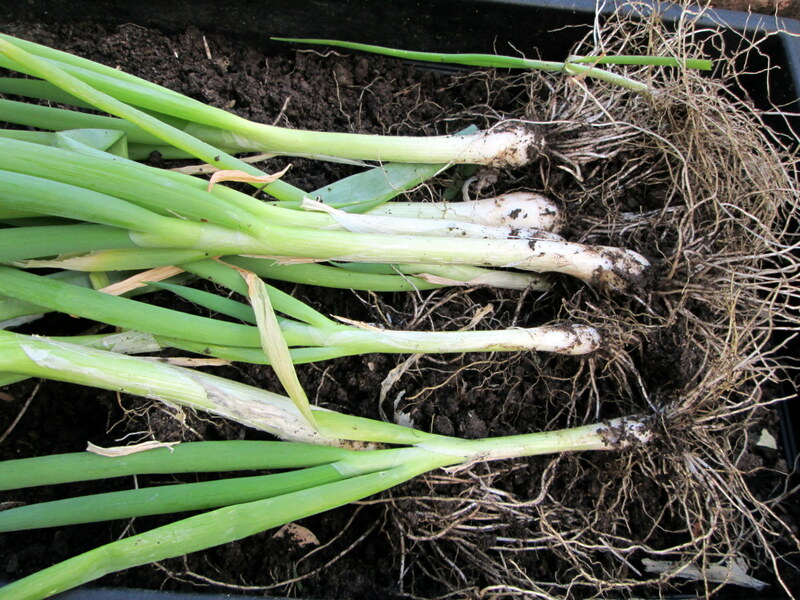 Wash the scallions and cut off the roots at the bulb end. Cut the scallions into small pieces. Place half the cabbage into a bowl. Add half the carrots and half the scallions. Mix with a fork. Repeat the process with the other half of the vegetables. 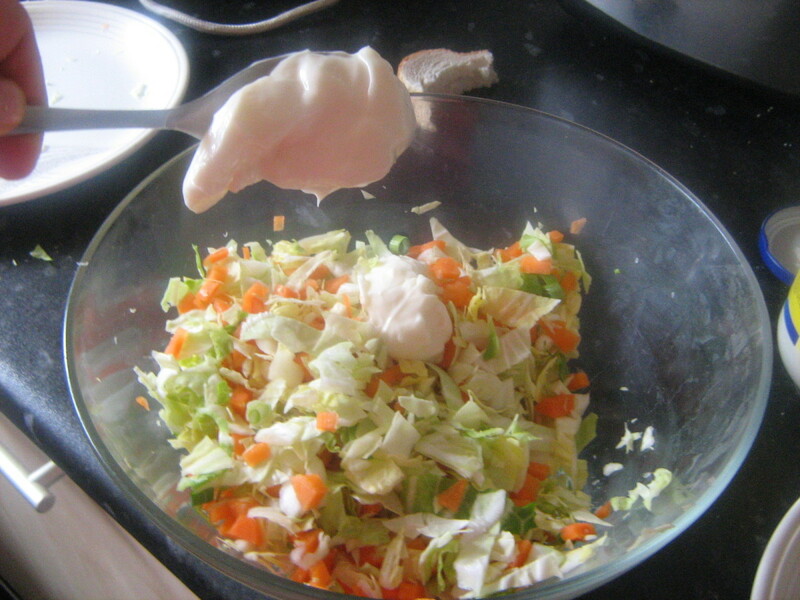 Take two tablespoons of mayonnaise and mix into the vegetables very well. Leave to chill in the fridge for at least an hour before serving. Put them in a pan of hot water and bring to a boil. Simmer for 20 minutes. Drain out the water and add a knob of butter. Leave to go cold. Wash the scallions. Remove the roots at the end of the bulbs. Cut the green leaves and bulbs into small pieces. Wash the parsley and dry with a paper towel. Cut the leaves into very small pieces. When the potatoes are cold, take them out of the pan and put them in a bowl. Chop them up further into smaller pieces. Add the parsley and scallions and mix well. Leave in the fridge for at least an hour before serving. Can you chop and freeze spring onions? Love all the photos in your article. Makes it so much more interesting to read All the amazing looking vegetables Must be great to live with you ! Hello Thelma, I usually only grow vegetables that I know we will eat too. Scallions are very easy to grow and it has the advantage that you only have to pick what you want to eat that day. Great and useful hub. I love gardening and I planted flowers and some vegetables in my garden. Thanks for sharing your ideas about planting scallions as I mostly used these in soups and salads. Yes I love spring onions but when you buy them in the shops here they come in large bundles. I could rarely finish them before they go off. Now that I have them growing in my garden I can pick just the amount I want to eat and the others are always there fresh for when I need them. There are so many different ways that scallions can be eaten too. really awesome hub ..................I like your idea. Enjoyed your hub. Loved how you ended all the work that you have to do before harvest with a recipe. Tasty! Yes Jackie scallions mixed in with coleslaw really makes a big difference to the taste. Thanks for sharing this, your plates look very good! I noticed I have some onions coming up from last year, I better get them in soon. I love them too but never had in coleslaw. I will try that; just has to be good.